Above: Beauty innovations, resplendent in the sunshine. With the final few weeks of August ahead, I have been reflective about the new and interesting beauty and skincare products I've had the chance to try. I am happy to report, that in all of my trial, I've discovered some incredibly innovative options! Some harness the power of cutting-edge science and technology while others' ingenuity lies in their "back to basics" nature-driven ingredients. Above: Loving my summer beauty innovation discoveries. Above: The MedCenter is great for those who like to stay organized with their vitamins and is also apropos for individuals who may need reminding and assistance when keeping track of taking important medications throughout the day. (1) MedCenter: Outside of my daily Allegra for allergies, I don't take regular medication; however, I do follow a vitamin supplement regimen (detailed most recently HERE). In turn, I am always looking for ways to neatly organize my vitamins combinations so that they are ready for month ahead and the MedCenter allows me to complete this task with ease! Additionally, the optional talking daily alarm clock makes this product equally beneficial for those who may forget to take their medication at specific times of the day and night. It's the perfect marriage of technology, health and pragmatism. · Load the entire month's meds into the (31) Daily Pill Boxes and place them into the Organizer with their Green ends up, showing they are full. · Set up to 4 Daily Alarms to alert you when your medication is due. · At the beginning of the day, take the correct Pill Box out of the stand and place it into the "Today's Pills" tray on the front of the Organizer Stand. · A repeating friendly reminder notifies you of the time, the date and which daily dose to take. "Good morning! Please take your morning pills for the 20th." · Press the red “Alarm Acknowledged" button to confirm compliance and the MedCenter Talking Alarm Clock tells you when the next daily dose is due. · At the end of the day, return the Pill Box to the stand with the Red end up to show the day's pills have been taken. · Press the green "Talk / Time" button at any time for an audible notification of the current time and date. · Press the blue "Alarm Check" button at any time for an audible notification of the upcoming alarms. · The clock also features an easy to operate, talking, Set procedure for all four alarms, the time and date. · Large easy to read LCD with backlight makes the clock easy to read, even in the dark. Above: 31 days of vitamins prepared in advance...time saving, indeed. (2) Probelle Touch 'n Grow Nail Hardener: I already mentioned this wonderful nail hardener formula in my June Favorites video, but couldn't resist discussing it once more as a bona fide beauty innovation. I have tried many nail-improvement products over the years (my nail are very healthy when unvarnished, but as soon as I start painting them, they get peeling and weak...does this happen to anyone else?) but haven't found one that gives tangible results until Probelle. It has healed my nails on many occasions and my mom and I both trust it to improve the strength, length and overall health of our nail when painting them takes its toll! Above: A miracle in a small bottle, this has saved my nails many times over this summer. (3) Darphin Stimulskin Plus Divine Eye Cream: I have used many eye creams this summer and rank this Darphin version in my top three (along with the Amore Pacific Future Response and Kate Somerville Age Arrest). It utilizes Leiocarpa Birch extract, Restructuring Peptide, Gentian Extract, Murumura, Shea and Mango Butter to smooth delicate eye skin on contact and I am heartened that 86% of the total ingredients are from natural origin and it is formulated without paragons. I especially prefer applying this at night because I consistently wake up with a firm, toned, refreshed eye area, even when I am excruciatingly tired still. 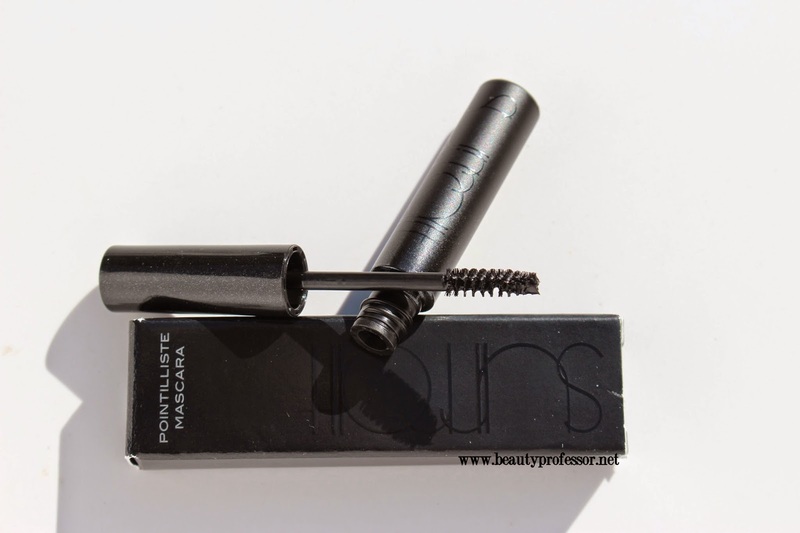 (4) Surratt Pointilliste Mascara: Speaking of eyes, have you ever tried to reach the expanse of your lower lashes with the mascara wand, only to be left with a huge smudge on your orbital area? This has happened to me countless times, especially when I am in a hurry. The Surratt Pointilliste Mascara seeks to remedy this calamity with an ultra diminutive brush that nimbly coats the most remote lash areas with mascara while avoiding smudging. I love using it on my lower lashes and in the inner and out corners of my eyes to thoroughly dress every last lash. Brilliant! Above: The quintessential mascara for lower lashes and inner and outer corners...magnifique! 85% of clinical study users experienced significant improvements in facial contour. 80% of clinical study users said their face felt more toned. 73% of clinical study users experienced significant improvements in skin tone. Ideal for: Beauty Seekers who want to lift, tone and contour-lift jowls, contour jawline, reduce nasal labial folds and wrinkles, lift eyebrows, open eyes...need we say more? Microcurrent is one of the hottest innovations in the anti-aging industry and is used in top spas and medical offices for facial contouring, toning and firming of aging skin. Microcurrent is a low-level current that mimics the body's natural current and can provide both instant and cumulative results. Because microcurrent works sub-sensory, the treatment is soothing and most users feel nothing at all. It is a safe and effective technology for beauty seekers who wish to attain and maintain a healthier, younger looking appearance. The results can be so dramatic that microcurrent treatments are often referred to as the "5 Minute Facial-lift." Microcurrent is capable of facial stimulation, sending soft, gentle waves through the skin, tissues and down to the facial muscles. Microcurrent has been shown to stimulate ATP production, which drives the creation of key structural proteins, such as collagen and elastin. This increased ATP also energizes the facial muscles, similar to how exercise energizes the muscles of our bodies. Unlike anywhere else on the body, the facial muscles are directly connected to the skin, so the result of energizing the muscle is often an improved, lifted appearance. Above: Facial toning painlessly and effortlessly with the NuFace Mini. (6) Toppik Hair Building Fibers + Hair Nutrition Capsules: I have known about Toppik Hair Building Fibers for years as a few close friends have chosen to use it to (1) build depth along their hair part line and (2) temporarily mask gray regrowth at the roots. This extremely fine powder, which comes in a spectrum of hair-matching shades, instantly bonds with existing hair to create a thicker, fuller look in seconds. For those who are struggling with the appearance of thinning hair, especially at the scalp, Toppik is an excellent innovation! Additionally, the newly-released Hair Nutrition Capsules (which come in a 30-day) are designed to fortify hair from the inside out. They are formulated with a blend of beauty-beneficial ingredients including: keratin protein to strengthen healthy hair from within; biotin to increase essential nutrients; vitamin E to support natural blood circulation to the scalp; red palm oil, which is rich in antioxidants, amino acids, beta carotene, and riboflavin to nourish healthy hair; and camu-camu, which acts an antioxidant to promote healthier hair. I am huge fan of hair supplements and my mom and I have both enjoyed taking this version this summer. Above: Toppik effectively addresses the needs of those with thinning hair concerns. Above: A sprinkling of the Toppik Hair Building Fibers...they are so fine that it was a challenge to capture them on film! Above: Two capsules a day are all that are necessary to reap the benefits of this hair-enriching formula. 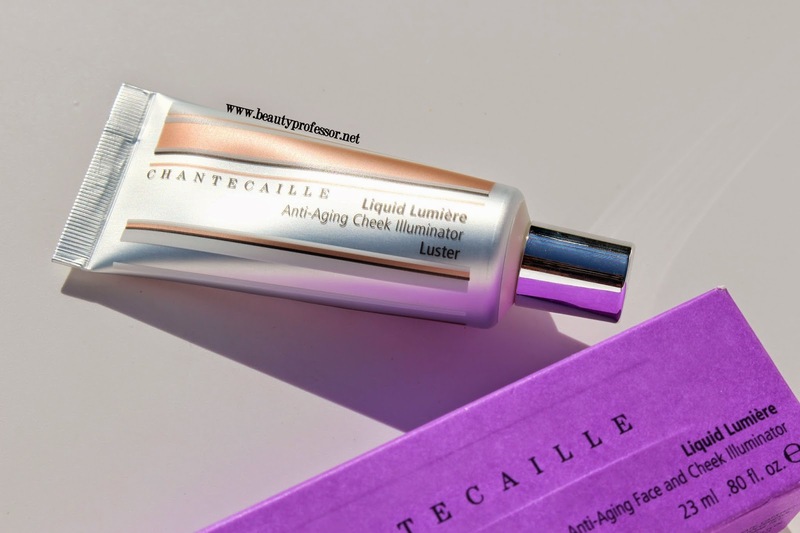 (7) Chantecaille Liquid Illuminator in Luster (available at Nordstrom, Neiman Marcus, Net-A-Porter, Space NK and Saks Fifth Avenue): This multi-tasking product boats anti-aging benefits, a gorgeously glowy effect and a sheer wash of color that instantly brightens the face (FOTD with this soon!) with just a drop. Light-reflective particles blur imperfections and the luminizing result is entirely believable. This will be taking me from summer to fall with radiance! Above: The Chantecaille Liquid Illuminator...anti-aging and a believable glow? Brilliant! Above: Luster is a soft coral that enhances the flush of one's cheeks. (8) Doll Face REFINE Peel Away Perfecting Mask: I have tried a host of masks this summer and I particularly enjoy this peeling version from Doll Face. Aside from the lovely packaging, I've been impressed with the high-quality ingredients in the Doll Face products. The peel away mask contains Lactic and Malic Acids (both to which my skin responds really well) to encourage instant cell turnover without skin-irritating side effects. One dose of this mask and my skin is left baby smooth and glowing. Can't wait to try other products from this line! Above: The Doll Face Refine Peeling Mask utilizes Lactic and Malic Acids for an instant skin smoothing effect. (9) Belli Anti-Blemish Facial Wash + Fresh Start Pre-Treatment Scrub: I've been recommending items from the Belli line to friends who have extremely sensitive skin but still want tangible results with their skincare. The facial wash and scrub do an excellent job of removing dirt, makeup and dead skin, thereby yielding glowing skin that isn't stripped, tight or dry. The fact that these products are accessible and affordable and the ingredients in Belli line are safe for all skin types (including those who are pregnant or nursing) make these a natural innovation. Above: The Belli line is excellent for anyone with sensitive skin concerns. Above: The Belli ingredients...short, sweet, gentle and healthy. (10) FRESH Sugar Lip Serum Advanced Therapy: I picked this gem up when at the Sephora VIB event earlier this month and couldn't be happier with its performance thus far. I have shared my battle with perennially dry lips many times in the past and am always on the hunt for a product that can nourish and heal, especially at night. I am still in love with my By Terry Baume de Rose, but appreciate that in addition to hydrating, this serum also targets and repairs fine lines around the mouth for added benefit. In fact, a single drop of the serum all over my lips plus a coat of Baume de Rose has kept my lips delightfully un-dry for the last couple of weeks. The serum is light, non-sticky, absorbs instantly and truly seems to have made a difference! (11) Made from Earth Pure Aloe Vera Skin Treatment: I learned about this soothing balm when at a lovely blogger summer soire last month and couldn't have procured it at a better time. Ten days spent in the summer sun of Tucson resulted in skin that needed extra attention and this ultra-concentrated salve did the trick. Relying on Aloe Vera as well as a myriad of other natural ingredients, a dime-sized amount was all that was necessary to sooth my wind-burned, sun-ravaged skin and, while I never had a sunburn (too much SPF for that to happen! ), the nourishing properties of this treatment definitely kept my skin soft and comfortable. This will be going with me on all my sun-intensive trips from here on out. (12) Whitening Lightning Dial A Smile: As an avid coffee and tea drinker, I am always in the market for a good at-home teeth-whitening experience. I recently tried the Whitening Lightning Dial A Smile, which includes three whitening treatments and a whitening-activating light for powerful results. I will be dedicating a full blog post (with before and after images) to this strip-free kit soon! (13) Borracha Pearly Wipes: Even with visibly whiter teeth, on-the-go teeth maintenance is also key. I've been keeping a few packets of the Borracha Pearly Wipes in my purse for long days when an extra mid-afternoon brushing isn't a possibility. These portable towelettes are so easy to use; I simply open one of the individually-wrapped packs (about the same size as a moist towelette) and use the teeth-sized towel to gently wipe my teeth off, thereby removing stains from potential offenders (like aforementioned coffee and tea) and freshening the entire mouth area. Genius! The towelettes are slightly minty and have very little flavor on their own, making them a great option for even the most sensitive of palettes. Ingredients: Alcohol denat (Non-GMO, pesticide free), Fragrance (Parfum), Benzyl Benzoate, Benzyl Cinnamate, Citral, Citronellol, Eugenol, Farnesol, Geraniol, Limonene, Linalool. In sum, I find Dimanche to be a marvelously delicious, aromatic, mood-lifting, sophisticated, nature-inspried scent splurge. Above: The travel size Dimanche...warm and sweet and sophisticatedly unusual in a single spritz. Bottom Line: And so concludes my list of beauty innovations. Often times, smaller, newer and/or independent lines do not get the exposure that they should, and I hope this list has introduced you to some fresh products that harness the power of technology and nature for the sake of beauty! **Some PR samples provided for review (the rest bought by me) however, as always, all of my opinions are expressly and unequivocally my own. Awesome post! I have the Chantecaille Liquid Lumiere Illuminators in Luster and Brilliance...they are absoluty gorgeous! I find myself using brilliance more, I mix it with foundation, use it as a highlight, it's a perfect pale gold! CAN'T WAIT for foundation reviews ;). Hope you have a lovely upcoming weekend! Take care! 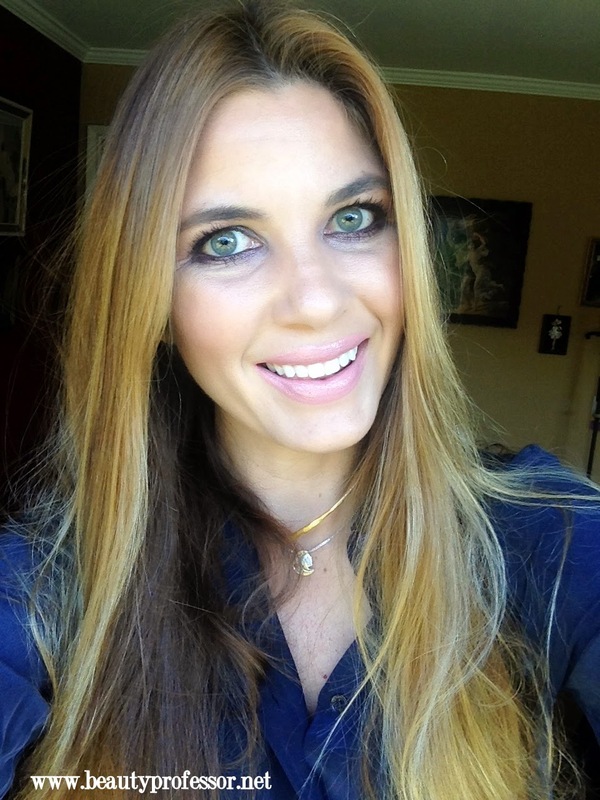 Thank you...glad to hear that you, too, are a Chantecaille Illuminator lover, Rebekah! 1. The pill thinggee!! As someone with autoimmune disease (MCTD), I take some prescriptions and a large number of supplements to help support my body; some require meals and some away from food and I forget the ones away from food all the time. Not to mention fiddling with pills everyday..so annoying. I need this in my life. Thank you!! 2. The hair powder~ My disease and the light chemo I was taking took a major toll on my hair. It has never fully recovered and early this year I chopped my hair off short (had long hair all my life) which has helped me mentally and also improved the overall 'look' of my hair, but I still have some issues with thinning on the crown. Bonus, this could help with styling because I wear my hair rocker style..spiky and messy. This could give my strands some extra support. I am very interested at NuFace Mini, I will wait until I try out Tria anti aging laser first and grab NuFace. Love your post as always . Thanks so much ! The NuFace Mini is incredible and I hope you get a chance to try it. I love Belli skincare. Their products are great for those who are pregnant and those (like me) who aren't. They are LACTMED screened and Teratology screened which is important. Isn't it amazing, Sharon? Such clean, healthy ingredients...and affordable as well! Thanks for the added details. Hi BP! I'm purchasing the NuFace today. I can't wait to begin using it and I will update my results when you blog again with yours. Awesome, Karen...so excited for you to try this! Do keep me in the loop on your experience! Btw (this is Karen from the above comment) I'm 51. Have always had oily skin but the past two years it hasn't gotten pretty dry. Because the of the oily skin wrinkles have been at bay but lately the skin has gotten lax and some wrinkles have set in, I've used Botox and a little Juvaderm. Thanks for the additional details, Karen...I love that you are already seeing an improvement with the NuFace and would love to have you report back when you can so that readers can gain insight from your experience with the product! Thank you so much! Rose With a Broken Neck sounds incredible as well...the whole SI line is jsut so well-executed!